Jennifer Aniston channelled her difficult relationship with her own mother into her latest role in 'Dumplin''. The 49-year-old actress plays the retired beauty queen mother (Rosie) of a plus-sized daughter (Willowdean) in the forthcoming Netflix musical comedy, and has opened up about how she herself always felt like she was not the "model child" her late parent, Nancy Dow, "had hoped for". Jennifer admitted: “She was a model and she was all about presentation and what she looked like and what I looked like. 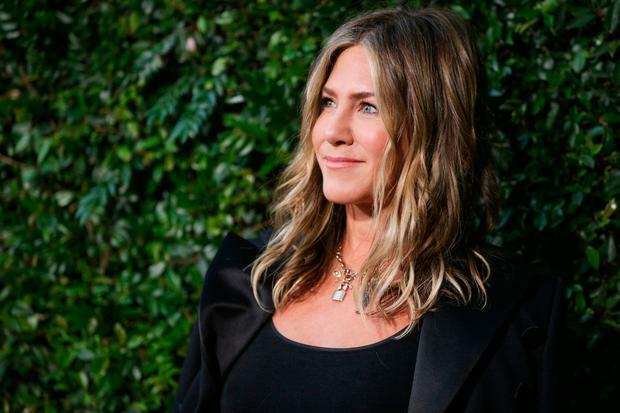 Speaking about the film, the former 'Friends' star added to Australia's The Sunday Telegraph newspaper: “This little girl just wanting to be loved by a mum that was too occupied with things that didn’t quite matter." Jennifer was estranged from her mother, but when she heard she was seriously unwell in May 2016, she visited Nancy for the first time in five years, and she later passed away after suffering a stroke. The 'Mother's Day' star had previously admitted her mum was "very critical" of her. Nancy didn't help the situation when she published a tell-all book, 'From Mother and Daughter to Friends: A Memoir', about Jennifer's life in 2009. Speaking previously, she said: "She was critical. She was very critical of me. "Because she was a model, she was gorgeous, stunning. I wasn't. I never was. I honestly still don't think of myself in that sort of light, which is fine. "There are people in my life that are like, 'How do you even talk to that guy?' But what's the point of holding on to [anger]? That's so toxic." Nancy married actor John Aniston in 1965 but they divorced when Jennifer was just nine years old.